The ability to ship direct to your customers (with a plain packing slip) or buy bulk and ship to yourself for even sharper prices. 95% of products dispatched within 24 hours, Tracking number provided on all orders. All products are with prepared photos, titles and descriptions as well suggested categories for directly listing on Auction sites such as Trade Me. Hundreds of products can be listed on Trade Me auction websites quickly and automatically with a few clicks thanks to integration with EasyLister – our free listing tool for Trade Me! 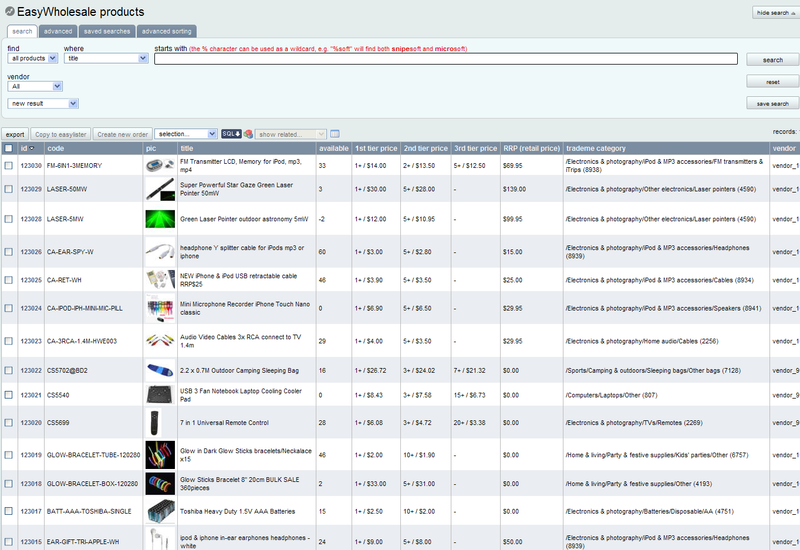 If you are an OMINS user, you can now load your products into our popular online shopping cart system E-Webstores! For many people selling online the process of sourcing and importing stock is a complex and daunting task with many risks involved along the way. From finding a reliable supplier, to arranging payment overseas and dealing with freight and customs, these tasks can be complicated and time-consuming. With EasyWholesale we have cut the hurdle by providing you with access to quality products specifically sourced for their success on online auctions and internet retail from trusted suppliers, all at wholesale prices!!. In conjunction with its integration into our EasyLister programme (allowing automatic listing on Trade Me), it is a one-stop shop for setting up your own online business (or expanding your existing business). 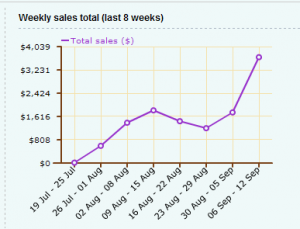 Think you need to invest $1000’s of dollars to start selling online? Not with EasyWholesale, there is no upfront stock cost, no minimum or sample orders to deal with. Just pay for what you sell as it sells and once you build a base you can begin to purchase in bulk. Don’t wait weeks for products to arrive, potentially losing your money, and customers. All suppliers are based in New Zealand and ship from within New Zealand, many with multiple stock locations to ensure the fastest possible arrival time to your customers. When importing you take the risk of importing a large quantity of a dud product. EasyWholesale allows you to ‘trial’ products to test the market without the risk of investing hundreds or thousands of dollars only to be stuck with a dud. Simply list a product, and if it sells GREAT you now have the option of purchasing in bulk at import prices, if not just simply inactivate and try a different product – no dud stock hanging around taking up time/space and your hard earned cash. Items can be shipped direct to customer with a plain (no company details) packing slip. No need to worry about which shipping company to use, finding the cheapest prices and scrounging around for suitable packaging. Using direct shipping with EasyWholesale all you need to do is click ‘ship now’ and the item will be sent for you. Like any good supplier you are rewarded for purchasing in bulk. With up to 3 wholesale price tiers for a product you can make great savings by purchasing in large quantities allowing you to beat the competition, pass the savings onto your customers and reap the rewards. We have done the hard work for you with pre-prepared auctions all ready with a choice of photos, titles, descriptions and suggested Trade Me product categories. Just a few simple clicks and you’re ready to list. Want to stand out from the crowd? Add your own flair and touch to each auction before listing and you’re are ready to be an EasyWholesale superstar! Whether it is Ian’s Everything iPods, Paula’s Pet Shop or even your own online department store, with EasyWholesale’s large stock base you can create your own niche market selling products that you enjoy. 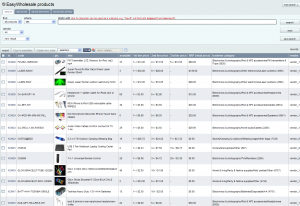 You can integrate everything into a cart system by getting an E-webstore! EasyWholesale is specifically integrated into our EasyLister listing programme allowing you to list your wholesale products on multiple market places – including Trade Me, with only a few simple clicks, saving you time and making you money. EasyLister features built in stock control, mass auction updates, the ability to prepare your auctions and schedule listing times in advance, and lots more– all for free! While EasyLister takes care of the listing, you can take care of the things that matter. Don’t hide your success away, with our up and coming affiliate programme for every person who is referred by you, you will receive a percentage of their sales! That’s right, when a friend makes a sale you will receive a small percentage of their sale, which will be credited to your EasyWholesale account, which you can use to purchase your own stock!